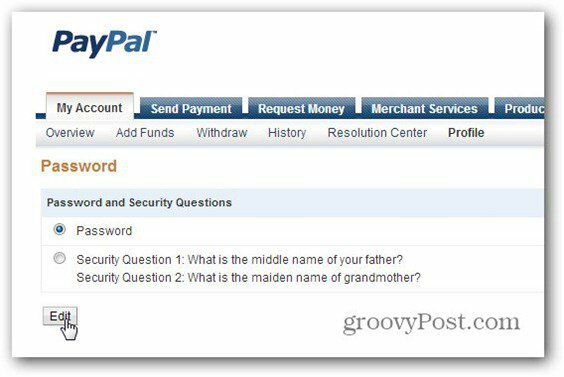 A Twitter post by the hacking group Anonymous claims to have gotten 28,000 PayPal account passwords. Here’s how to change your password if you think it has been compromised. 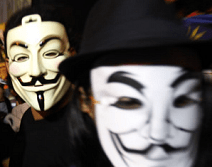 A Twitter announcement by hacker group Anonymous claims the group has hacked the popular payment service PayPal, as part of Guy Fawkes day celebrations. 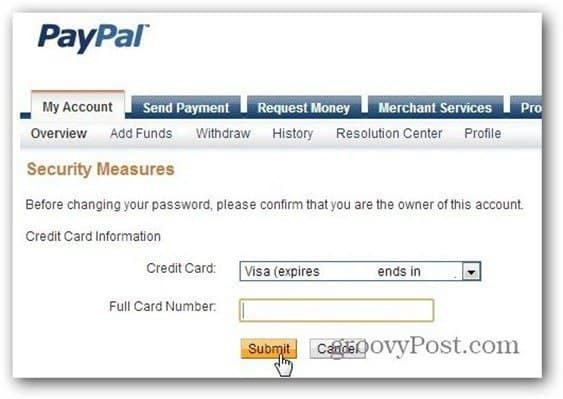 Even if PayPal says differently, changing your password right now can’t be a bad idea. In fact, you should change your passwords to sensitive accounts regularly. An Anonymous Twitter account has claimed releasing 28,000 PayPal account passwords, but now the link is dead and the official PayPal Twitter account says there was no attack. Apparently, PayPal was not the only targeted website – a Sky News article says that other websites were targets too. NBC sites for shows like Saturday Night Live, Late Night With Jimmy Fallon and the Tonight Show With Jay Leno were hacked this weekend by a group or individual called “pyknic”. Also targeted were sites for surveillance companies INDECT and TrapWire, as well as internet security company Symantec’s website. Log in to your account and from the top menu and click Profile. A dropdown menu appears, but just click Profile — nothing on the menu. Scroll down to Password and click Change. On the next screen select Password and click Edit. 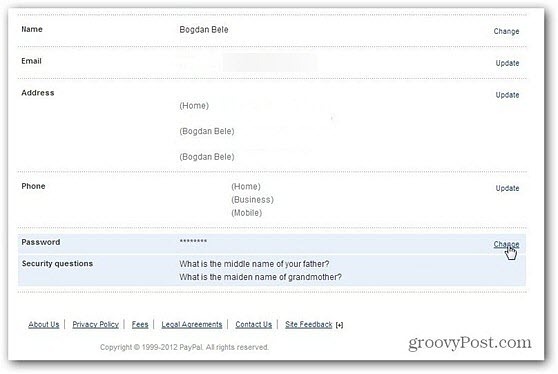 You’ll need to confirm that you’re the owner of account by inputting your full credit card number and hitting Submit. 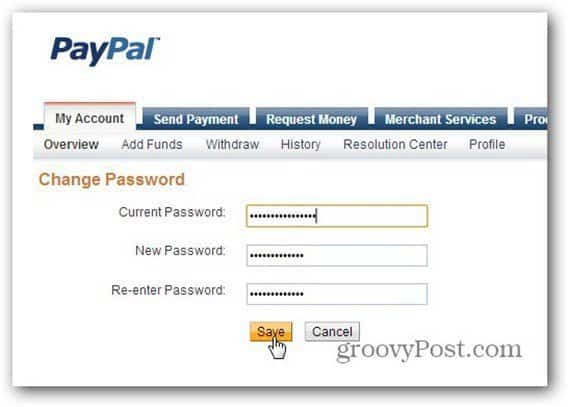 Type your current password, as well as your new password twice to confirm it. Click Save and you’re done. It’s not too difficult and I recommend changing it whenever there’s news about a possible security breach. Also, you should change your password for your financial accounts at least every 6-12 months on a regular basis. This is also a good time to remind everyone about reevaluating your online security practices, and seriously consider using Two Factor Authentication on all accounts that support it. While it can be less convenient, it provides a solid extra layer of security for your sensitive account data. 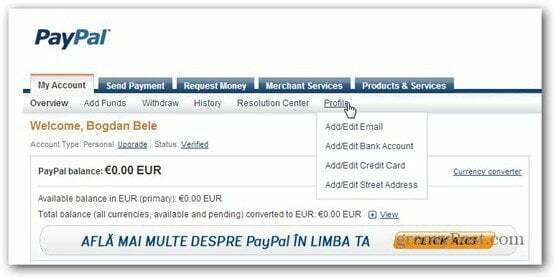 Guyz Checkout the testmoney of SECRET mass traffic software to earn up to $4000 in one day.